Today marks another beginning for Layers of Love. We are very proud and extremely happy to announce that as of today we are kicking off a brand new campaign! As of today we will begin accepting homemade fleece blanket donations for children who are going through chemotherapy treatment. Since I began Layers of Love, I have always known that working with children who have been diagnosed with cancer would become a reality. Not only will we be helping provide comfort and warmth for children who are going through chemotherapy treatment but we are very excited to be working with the wonderful children’s charity Friends Like Us. As many of you will remember we worked with them last year as well. I was so impressed with their work and what they are doing for children who have cancer that I wanted to be able to work with them again and help out in any way possible. With the help of your blanket donations to Layers of Love, we are very happy to add homemade fleece blankets to the Friends Like Us Chemo Bear Packages. Isn’t this a wonderful package for a child who has just been diagnosed with cancer? We think it’s pretty fantastic. You want to donate but don’t know where to start? Donating is very easy! Just take a look over at our sidebar right here on our blog. For your convenience we have selected a few No Sew Fleece Blanket Kit patterns that we recommend from JoAnn’s Fabric and Craft Stores, and put the links there. The donation process for child sized blankets is exactly the same as it works for the adult sized. When you donate your blanket, you will still send it directly to us, and we will package it with our ribbon and tags and send it over to Friends Like Us. If you are making a blanket yourself the measurements for the child sized blankets are slightly different from the adult requirement, the child sized blanket should measure 48″ x 60″. As always, if you don’t have time or don’t know how to put a blanket together all you have to do is ship it to us, we are very happy to be able to put it together for you. If you are ordering a blanket directly from the links on our sidebar, you can have the blankets shipped from JoAnn’s right to us, just put our address in form when ordering. You can find our address under the Contact Us tab above this post. If you have any additional questions about donating to us, check out our FAQ tab, also above this post. The best part of all of this is that not only will we be providing comfort and warmth for children now with the help of Friends Like Us, but we will continue to collect donated blankets for adults too. We will be running both campaigns side by side together this year. We are very close to completion of our goal for the Lehigh Valley Health Network and when that goal is completed we will be announcing the next cancer center we will be collecting donated blankets to benefit. We have a very exciting year planned for Layers of Love! We know that without your generous donations we would not be able to provide these blankets that are providing comfort and warmth for chemotherapy patients. We are very grateful and appreciative of your help. As long as there are chemotherapy patients, we will be working hard to make sure they are provided with a blanket. 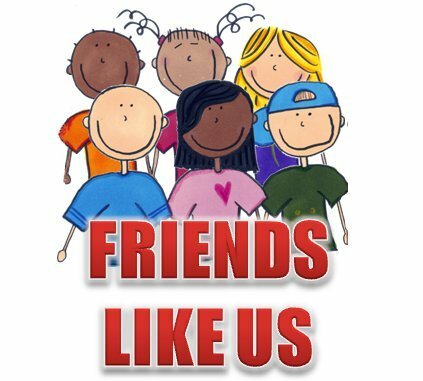 Please be sure to visit the Friends Like Us website to see all the wonderful work they are doing for children with cancer. Friends Like Us is a nonprofit childhood cancer organization with a goal to help children who have been devastated by cancer. They do great work and are truly a wonderful organization. This entry was posted in Donations and tagged blankets, Charity, child, Children, Donations, fleece, Friends Like Us. Bookmark the permalink. I love what you do as an organization; and I am thrilled that you are now working with Friends Like Us to supply a blanket for children with cancer. Many blessings to you and your efforts to bring love & comfort to those dealing with cancer & their cancer treatments! http://bit.ly/eHhXhc+ if you are interested in reading it.